Reflections and Ruminations: Baptised in Christ? We are already rich in ways beyond our imaginings. Baptised in Christ? We are already rich in ways beyond our imaginings. Our modern day minds have trouble grasping the depth of what he was saying. Can one truly hold the knowledge of Christ with such esteem that everything else can be considered garbage as compared to the treasure of knowing Christ? If this is so, perhaps most of us have yet to appreciate Christ at any level close to that of St Paul. We prize so much the joys, thrills and excitement of this world, and we love ourselves far more than we do God. Our faith tells us that Christ’s victory over sin and death is our greatest hope in life. But I think that many of us may in fact be living each day without realizing the riches that we have inherited through the grace of our baptism in the Lord. It may well be that we will only truly appreciate the absolute treasure of our salvation only when we finally take our last breath. Meanwhile, as we live with the various challenges that we face here in this life, we find ourselves living in that state of ‘gia ma non ancora’, which is Italian for ‘already but not yet’. This is a theological concept of understanding the Kingdom of God where though we know that the realm of God is seen in his sovereign right to rule, it will only be truly entered into fully in the future. So, the kingdom of God is both a present and a future reality. I don’t think we struggle with the future bit. We all tend to have a natural tendency to want to look beyond the valleys that we are in, as we gaze toward the greener pastures that lie over the ranges that seem to limit our horizons in life. After all, very few of us can say with confidence that we are already living in a state of being fully in the eternal joys that heaven promises. But many, if not most, are mired somewhat in our daily toils and labours, or perhaps just barely coping to make it through each day without giving in to its variegated struggles and temptations. How does one live in a state of being energized constantly by the great hope that our salvation in Christ accords us? Is it at all possible to live on such ‘high octane’ Christianity that no setbacks, however large, are going to find us flagging in zeal? Is that mere wishful thinking? St Paul, as scripture reveals, had such a dynamic encounter with the Lord on that road to Damascus. Undoubtedly, it was pivotally germane to how convinced he was about the resurrection, redirecting his whole life after he saw again anew. And therein perhaps, lies the key to what made Paul see as garbage the things that most of us hanker for in life. He first had to fall (and not from a horse, as some paintings deem to portray). Then blindness came upon him. He had to undergo a restoration of his sight. It was only then that he made a complete turn in the direction of his life, and preached the good news of the Risen Lord. Most of us do not have such vivid encounters with God to shift the very ground of our lives anew. Our compasses in life are seldom so dramatically recalibrated. So where does this leave us? We know Paul’s conviction was so clear and that was what enabled him to be so driven, so passionate and so convinced about his mission. People who I speak to, and who are readers of this blog effort of mine often tell me that I give them encouragement and hope in their struggles to live the Christian life. But what if the person reading this only sees the darkness and has no powerful encounter to see her through to live in a renewed hope? I know that I am truly blessed to have been given such faith to live out my dark days without letting them lead me to despair and anguish. What of the many others who cannot seem to see any sliver linings beyond the edges of the grey clouds, simply because the edges are beyond one’s horizons? This is where our faith truly comes in. Faith to believe that no matter how much adversity one faces in life, that the promise of the sovereignty of God ultimately will reign supreme. This is after all, what our baptism in Christ gives us – a hope beyond what our eyes can see. When we are able to appreciate anew over and over again the true riches that lie in store for us, the troubles that we face become less insurmountable and less overwhelming. Looking anew at what greatness our hope has in store for us is much like knowing that in fact, we do have a real treasure that is yet to be fully seen. 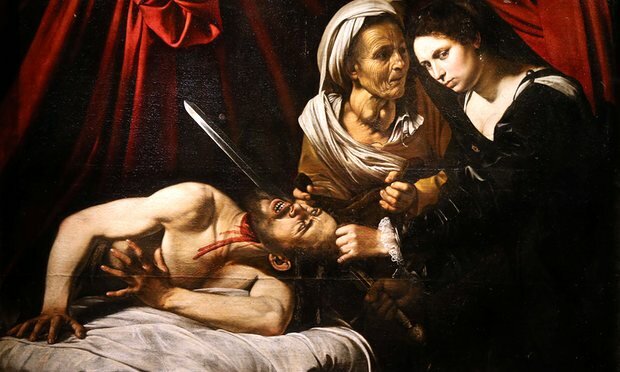 Sometime in April 2014, in a house in Toulouse, France, a painting was found in the attic of a home, and the owners had no inkling that they had it in their possession until they went there to fix a leak in the ceiling. This painting, it is believed, was by the great Italian Renaissance painter Caravaggio and could be worth around 120 million Euros. I don’t know which part of the story is more intriguing – that such a masterpiece was actually preserved in someone’s attic without them even knowing of its existence, or that there are actually people who are clueless about the riches that they have. The promise of our salvation in Christ makes us rich beyond words. It is kept in the faith of our hearts, and some of us may have it stored so well in our attics that we don’t even realise the priceless treasure that we have. And you can be sure that its beauty may well make an earthly masterpiece seem like garbage – even if it may be an authentic Caravaggio. Praise - the secret weapon to non-violence.